Gift-ready wholesale jewelry boxes with shimmer textured paper! This fancy copper color jewelry box with silver accent bow requires no additional gift wrapping. 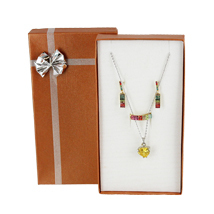 The exterior of these wholesale jewelry boxes is made of shimmer textured paper; interior comes with flocked foam insert for a necklace, pair of earrings, and ring. 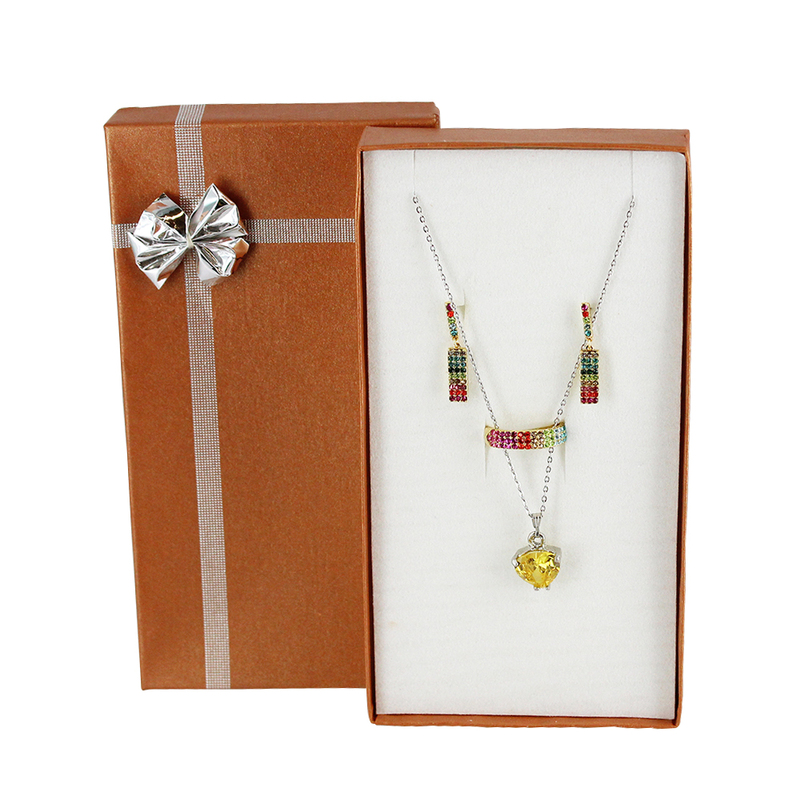 For even more options, we encourage you to take some time to shop our thorough variety of wholesale jewelry boxes at Specialty Store Services now.